Mountains is home to magnificent endemic species and is the last enclave of the majestic mountain gorilla. Sites such as the Nyamata Catholic Church, where so many lost their lives, and the Genocide Memorial Centre and Museum of Kigali, are indescribably humanizing and gut-stirring experiences. 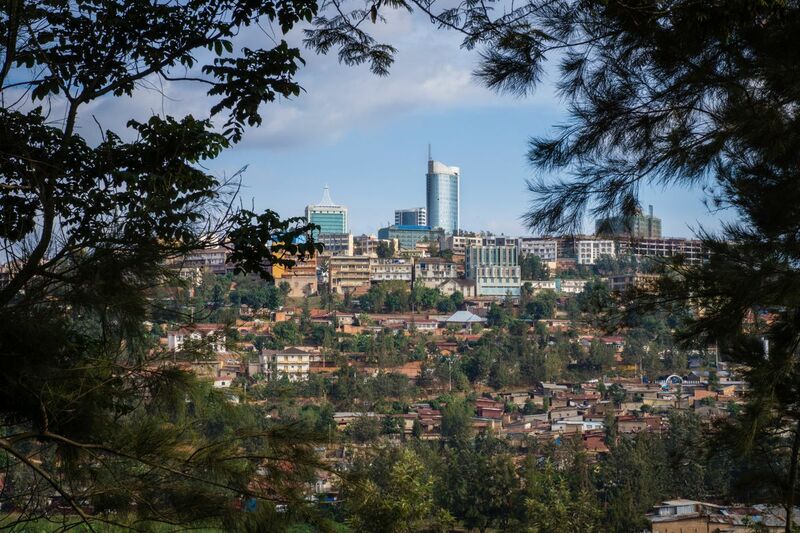 Since the genocide of 1994, this small East African country has become a model for forgiveness, rebirth, unity, and success; not just for Africa, but for the world. The highlight of Rwanda is experiencing Silverback Mountain Gorillas, up-close. At 250kgs, the gentle giants are wildly endearing, particularly after hiking through rainforest and volcanic jungle. Retreat, after arduous hikes, to the creature comforts of hilltop Sabyinyo Silverback Lodge. It’s a welcome home from home, boasting striking volcano views at dusk. The petite Central East African country personifies natural beauty. Multicoloured villages crown undulating hills, every inch of land farmed for agriculture, whilst the culture screams of unity and forgiveness unlike anywhere on earth, following the brutal genocide of ‘94. Kigali’s genocide Memorial Museum is unforgettable and uplifting. Hike Rwanda’s Nyungwe National Park rainforest, tracking 11 monkey species, and recline in luxurious tea plantation surrounds at Nyungwe Forest Lodge. Picnic at Lake Kivu, one of Africa’s Great Lakes, which sustains 2 million lakeside dwellers. Pick the perfect spot amidst virgin lake islands, where African birds soar. Just to witness the incredible spirit of re-birth and cooperation is worth the visit to this beautiful, hilly country alone. The steps communities have taken and the inconceivable acts of forgiveness that have re-shaped Rwandan society since the 1994 genocide is nothing short of inspiring. Beyond that, Rwanda has awesome wildlife, like the habituated mountain gorillas in the Virunga range. The Kigali Genocide Memorial center is one of the most well done and undoubtedly the most moving museums I have ever visited - for a museum junkie, that is saying a lot.